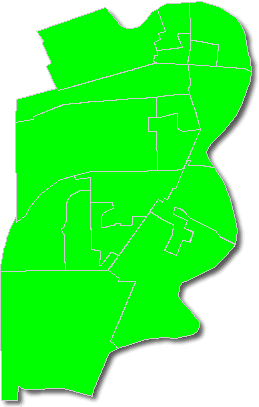 These maps indicate how a candidate fared in each precinct compared to other candidates. 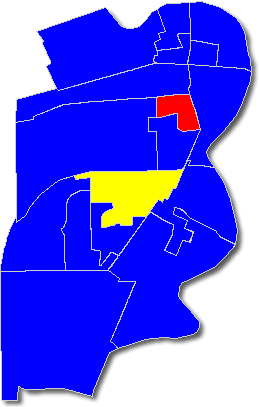 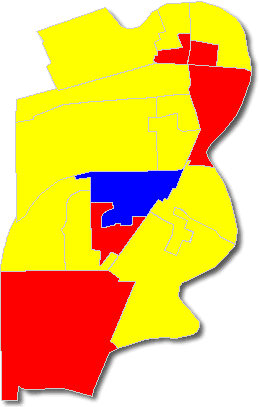 A precinct colored in blue, for example, indicates the candidate received the most votes in the precinct. 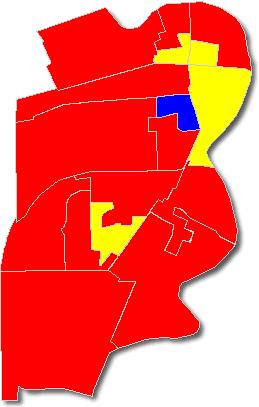 Red indicates a candidate received the second-most votes.